The prototyping area provides blocks for connecting the address and data lines, and ports P0, P1, and P2, 3.3 VDC and Ground (GND) reference. 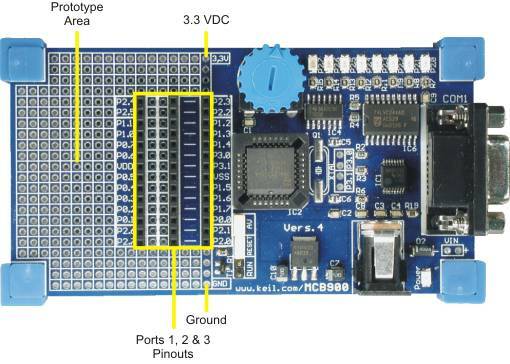 All microcontroller signals are brought out to pins and are driven directly by the microcontroller. Exercise caution to avoid overloading these signal lines.